Provide comfort for the family of Marian Ingersoll with a meaningful gesture of sympathy. 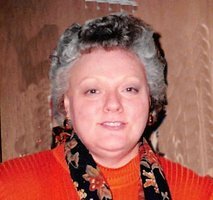 Marian “Irene” Ingersoll, 72, of Independence, MO, passed away Tuesday, April 2, 2019. A memorial visitation will be held from 5-7pm on Monday, April 8, 2019 at Speaks Suburban Chapel 18020 E 39th St, Independence, MO 64055. Memorial service will be at 10am on Tuesday, April 9, 2019 also at Speaks Suburban Chapel. Irene was one of four children born to Marion and Gladys (Helm) Bolton on November 20, 1946 in Independence, MO. After high school, Irene started dental assistant school, though she ultimately found her place doing massage therapy and after completion of training, Irene started working for herself. Irene was a kind, polite woman who never put herself before others. She lived a healthy, natural lifestyle and her passion was healing people through touch and massage therapy. Irene is survived by a son, Vince (Lisa) Ingersoll; grandson, Aaron Ingersoll; granddaughter, Christine (Ingersoll) Caley and husband, Dalton; great-grandson, Zayne Eugene Caley; sisters, Mary (Myron) Andes and Della (Pat) Briggs; and a nephew, Myron Andes Jr. She is preceded in death by both parents; a sister, Shirley Gerber; and a brother, JW Bolton. To send flowers in memory of Marian Irene Ingersoll (Bolton), please visit our Heartfelt Sympathies Store. Consider providing a gift of comfort for the family of Marian Ingersoll by sending flowers.